The Competitive Enterprise Institute has produced a few ads promoting CO2 and carbon-producing fuels in general. Go watch them, they are ridiculous. “Energy” tells us that CO2 is a wonderful thing and it implies that politicians want us to stop breathing. “Glaciers” is even better. It flashes two Science articles that have the word “Growth” in the title and claim that there’s credible science out there that shows that the ice caps are actually growing—not shrinking, as the fearmongers would have us believe. But I looked up these two articles (here and here), and CEI flat out lies to us. The articles only report on a small region in which snowfall has increased. But that in no way disputes that our ice caps are melting and that our globe is warming. In fact the acticles acknowledge global warming, even as a factor in the increased snowfall. One article’s abstract states: “Winter elevation changes are shown to be linked to the North Atlantic Oscillation,” which is sensitive to global climate change. A citing article states: “Atmospheric modeling indicates that increasing snow accumulation has been important over the last decades, perhaps in response to weak warming, especially in coastal regions.” The other paper claims that the increased snowfall might mitigate immediate sea-level rise, a statement that inherently acknowledges global warming as an Earth-altering trend. The real deception of the CEI ad is that it claims there is disagreement in the scientific community over global climate change. Not only is that claim false, these two papers fail to support that view, regardless. The worst part is that CEI’s tactics will probably be effective in confusing naïve people (which is most of us). 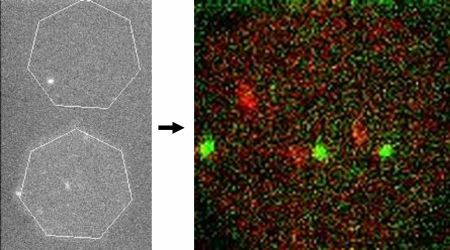 Now, there’s probably already a program out there that will compare the optimized structures of quantum-chemistry calculations (e.g. Gaussian). 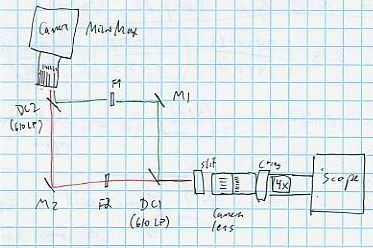 But I couldn’t find one, and I wanted control over how to compare the structures (for instance, I wanted to be able to ignore the errors in the dihedrals for light atoms). So I wrote a MatLab M-file that outputs the absolute differences in the bond lengths, angles, and dihedrals between two structures. It took me a while to get what I wanted out of Molden and make MatLab spit out the right set of numbers, but I finally got it to do what I wanted (I think). It’s not perfect, I’m pretty happy with it. It just imports the variables from a Molden z-matrix and takes the absolute difference in them, sorting my type. Then I just throw those outputs into SigmaPlot or Excel (ew!) or whatever and do the error analysis I want. For instance, I remove the dihedrals that don’t really matter (some light atoms and some artificially inflated dihedral errors) and just look at the mean and standard deviation for different method/basis set combinations. I dunno, not essential. But I find it pretty handy. If you want to check it out or try it, I’ll post it below. Let me know if you find errors or if you find ways to make it better. 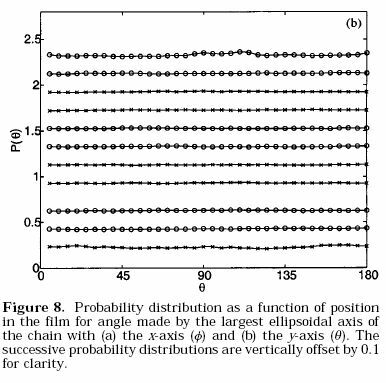 This is from a paper on curved diffusion in Phys. Rev. E. The four data point are culled from other publications, because the paper mostly reports the results of some (helpful) theoretical calculations. But do those four measly data points help? Especially with those error bar, I have no idea how well the theory actually fits the data. In the text, the author tries to claim that the solid line fits the circle data. Riiiight. At Mercedes-Benz, even the paint is a feat of engineering. 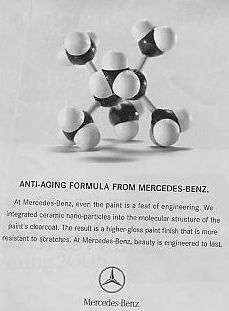 We integrated ceramic nano-particles into the molecular structure of the paint’s clearcoat. The result is a higher-gloss paint finish that is more resistant to scratches. At Mercedes-Benz, beauty is engineered to last. So they used a model kit to make 2,2,3,3-tetramethylbutane. That’s engineering! Also, Mercedes seems to be jumping on the nano bandwagon (not a nanobandwagon, maybe James Tour—of nanoputians and nanocar fame—could make that). 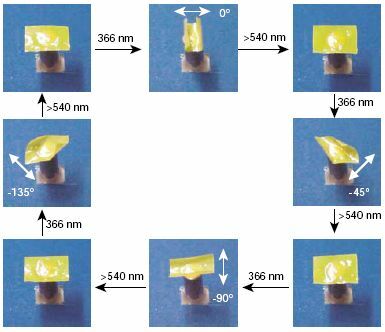 Ceramic nano-particles, eh? Integrating into the molecular structure, huh? Sounds to me like they mixed some bits of clay into the paint. But what do I know? I’m not an engineer. I have to link to Andrew’s entertaining research into how people are finding his site. This is hilarious. And maybe create a new category: wild web. I think it’s worth it, there’s a lot of actual sciency stuff on the internets. Here’s a really cool paper in Nature, published back in 2003. 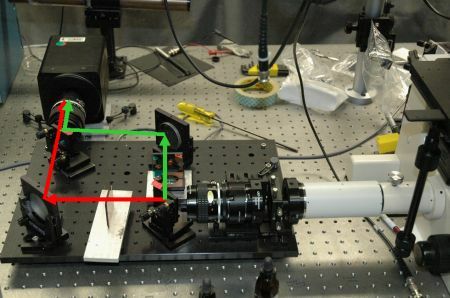 The researchers use a polymer that contains azobenzenes, which isomerize upon irradiation of light. Here are some structures of the molecules they were using. I think we could make some really cool clothes with this material. Just imagine a visor than unfirls when it’s sunny or sleaves that roll up when you’re outside. Actually, those ideas are pretty stupid. How about a dress that flies up when you’re in the sun? OK, I can’t think of any useful applications of this discovery. But someone will. And it’s cool looking. OK, when it rains it pours. I have another literature post. Have you ever wondered, Will humans swim faster or slower in syrup? Me neither, but some researchers at the Chemical Engineering department at University of Minnesota have. And they actually did an experiment to determine the answer. The literally filled an entire swimming pool with a guar solution with twice the the viscocity of water and had people swim in it. 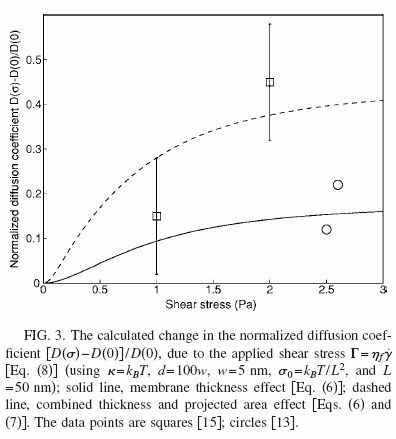 The results were published in AIChE Journal. As you can see from the figure above, people swam the same speed in syrup and water. Are you surprised? I sorta am. I would guess that you’d swim more slowly. I could actually convince myself that you’d swim more quickly. But the same? 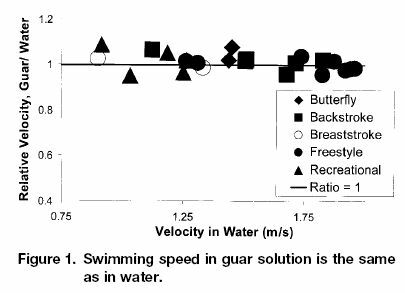 I guess it’s because human swimming is turbulent, and the effect of viscosity is relatively small. But go ahead and read the results if you want more info. I wanna do research like that. You know: sticky. 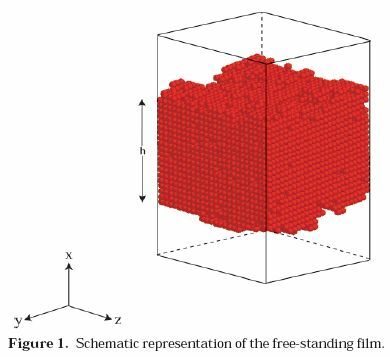 In Chemical Physics Journal Club this week, someone presented a pretty good simulation paper about glass transitions in polymer thin films. 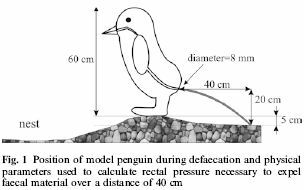 But this paper had some pretty bad figures. For instance, is this figure really worth it?